As an art director I really respected the writing and the craftsmanship of the television and print work on the Lexus brand. When It became my turn to craft my own it was a dream come true. 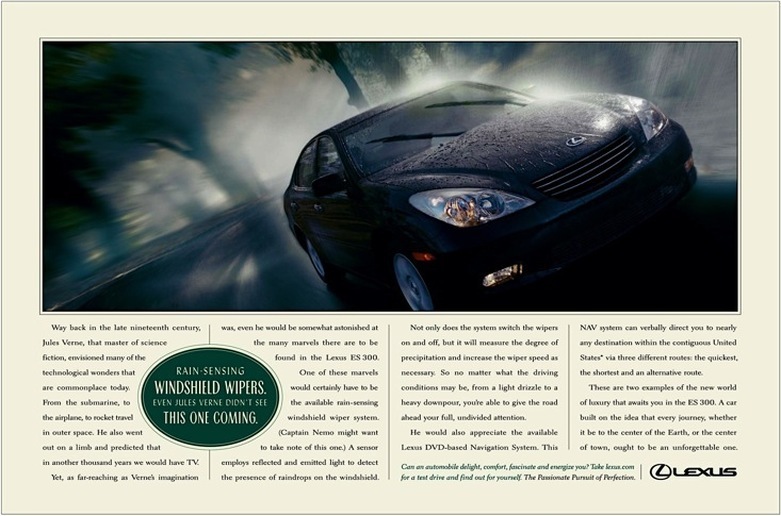 Here are just a few ads from the countless I created for Lexus.